Language of Houses …. makes a powerful argument that how we choose to order the space we live and work in reveals far more about us.… full of mischievous apercus, and Ms. Lurie at her best is bracingly subversive….a mine of adroit observation, uncovering apparently humdrum details to reveal their unexpected, and occasionally poignant, human meaning.
. . . a book meticulously packed with facts, paradoxes and observations. . . . a rich compendium of information, exploring how we inhabit our homes, our offices and our places of learning, leisure and worship, from every conceivable angle, in neatly organized chapters addressing each category of building. Lurie maintains a light touch with such damning observations. . . One of the book’s best chapters treats public high schools. . . .its insights into our vanity, and capacity for almost negligent public construction, are ripe for the gleaning.
. . . has all the makings of an architecture geek’s summer beach read. All the more so because it shies away from an exhaustive summary of materials and styles (parsing the difference between Doric and Corinthian columns is kept to a minimum) and instead takes a broad look at the design of museums, residences, schools, prisons and restaurants — to name a few of the featured categories — and how they have evolved over time… is light and breezy . . . , there’s a literary bent to her latest undertaking, with allusions to the work of Charlotte Brontë, Tom Wolfe, Joyce Carol Oates . . ..
Now Lurie has returned with a companion book, The Language of Houses, a lucid, provocative and entertaining look at how the architecture of buildings and the spaces within them both reflect and affect the people who inhabit them. Schools, churches, government buildings, museums, prisons, hospitals, restaurants, and of course, houses and apartments, all of them speak to human experience in vital and varied ways. 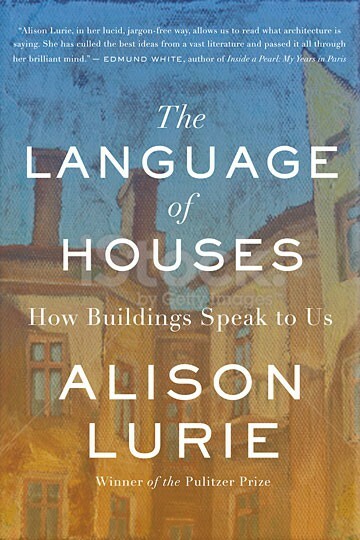 The Language of Houses discusses historical and regional styles and the use of materials such as stone and wood and concrete, as well as contemplating the roles of stairs and mirrors, windows and doors, tiny rooms and cathedral-like expanses, illustrating its conclusions with illuminating literary references as well as the comments of experts in the field. This book, which is accompanied by light-hearted original drawings by Karen Sung, is an essential and highly entertaining new contribution to the literature of modern architecture. 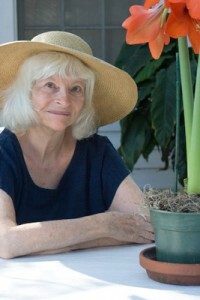 ALISON LURIE, who won the Pulitzer Prize for Foreign Affairs, has published ten novels, five works of non-ﬁction and three books for children. .She is a professor of English Emerita at Cornell University.